Why Do So Many People Quit at Blue Belt? Mar 07, 2019grappler zArticlesComments Off on Why Do So Many People Quit at Blue Belt? It’s not abnormal to see people easily come and go at many Jiu-Jitsu academies. The “blue belt blues” syndrome is extremely common among BJJ practitioners who receive their blue belt and then give up. The question is what causes it, and how do you deal with these hopeless feelings if and when they occur. There are a couple separate reasons for “blue belt blues.” Firstly, fresh blue belts tend to equate themselves to black belts. There is so much time, effort, and sacrifice made to be able to go from white belt to blue that often graduating to the blue belt takes on inflated importance. Being a blue belt in Brazilian Jiu-Jitsu simply means you speak the language. 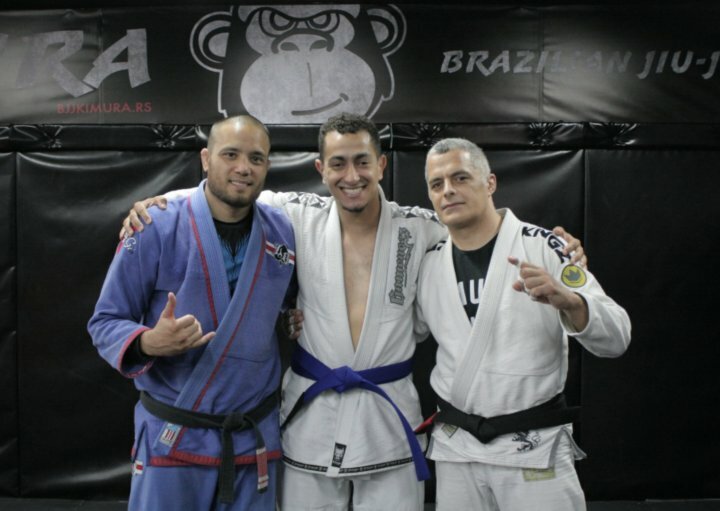 A blue belt has only begun to scratch the surface of BJJ. It’s said that a blue belt is simply a reward for not quitting at white, and the real journey has just begun. At this point, someone who received a blue belt might be feeling the blues simply because their expectations were so high. They might have envisioned big success right away, rather than perceiving the transition to blue belt as just the beginning of a long journey. In some ways, the blue belt experience may be similar to to seeing the gold medal resting on your chest, but never having earned it through competition. When you’re a white belt, there are tons of adrenaline and energy pumping through you because the terrain is still fairly “easy” and new. So when people reach blue belt, that vitality they once had, decreases exponentially because suddenly the route to achievement becomes much more challenging. The techniques other higher belts are practicing seem effortless and straightforward, but in reality took years to master. Still, lower belts often confuse how much skill is required for advanced techniques and often find themselves sinking into depression when they realize they don’t have the experience or skill set to execute them. It’s lonely at the top in Jiu Jitsu. The higher you go in BJJ, the fewer people there are. Most don’t last the test of time that is required to achieve a black belt, so they stay content at blue, and become lax in their training. As with all belts, becoming a blue belt requires undivided attention to the techniques one is being taught, and a strict awareness of strengths and weaknesses. It’s a time when evaluating your BJJ game really starts to count. For white belts there’s also no real pressure to be doing well. It doesn’t matter how many times you get tapped out, or if you do well in competitions, the main concern is that you’re trying. Being a blue belt requires a serious level of commitment and attention to the techniques being performed in class. At this point, your coach likely expects a higher standard from you. Being a blue belt can often put a student at an awkward stage in their Jiu-Jitsu career. It’s that middle ground between graduating high school and trying to understand biophysics. BJJ is certainly not an easy sport, but any progress is good progress and bring you one step closer to what you want to achieve. Graduating to a blue belt is a solid stepping stone to laying the groundwork to a challenging, yet knowledgeable future in BJJ.